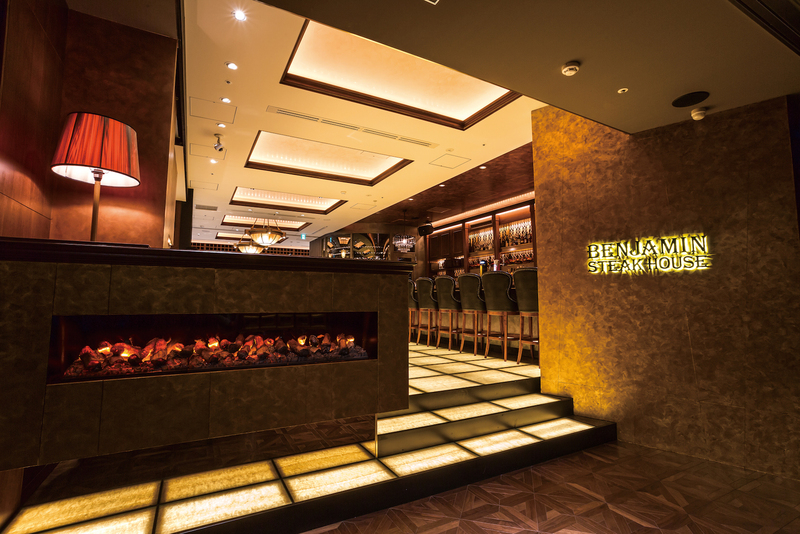 As you walk down the stairs to the lobby of Benjamin Steak House’s newly opened Tokyo restaurant, you can’t help but look at all the happy faces in the photographs hanging on the walls. You’ll recognize many of them — there’s Kim Kardashian, Shinzo Abe and Bill Murray — and some you won’t (sincere apologies to all sports stars). But you know that on the day you visit, you’re united with everyone on those walls on one common ground — your love of quality (and quantity) of exquisite meat and seafood, admiration for quiet wine time, and respect for a service that knows how to impress. 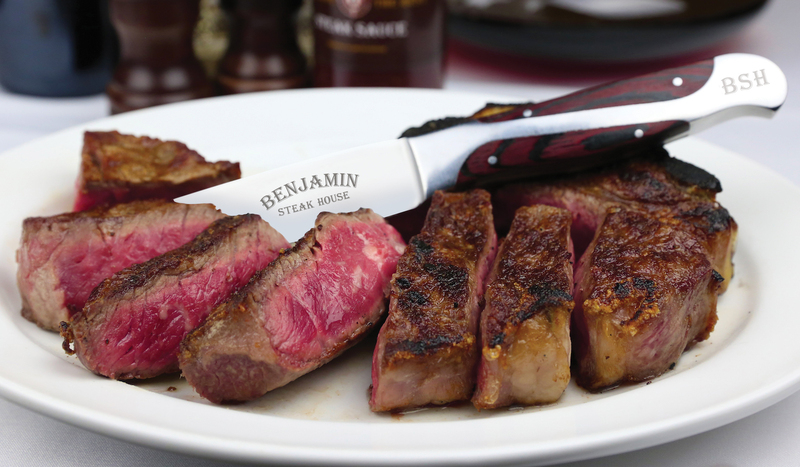 Opened in 2006 by the famous entrepreneurial duo Benjamin Prelvukaj and Benjamin Sinanaj, or the “two Bens,” the U.S. steakhouse, known by the motto "A Cut Above The Rest," quickly rose to fame among New York celebrities and steak fans. Now, 11 years after its opening, the restaurant is making its first international debut here in Tokyo, in the city’s best known nightlife entertainment district, Roppongi. Which isn't a big surprise. With 30 to 40% of Japanese clients on regular days at the New York restaurants, and the capital's increasingly growing demand for high quality, thick beef slices, it was only natural for the Bens to dream of coming to Tokyo. And we're glad they did. On a recent visit to Benjamin Steak House, just a little over a month after its opening, I and a well-informed Tokyo diner colleague, were impressed to see that the Ben duo’s dream was kicking it off on solid grounds — the seats were quickly filling up even on a late Monday night, the customers were freely carried away by their quiet conversations, which were only occasionally interrupted by someone else’s vocally expressed surprise of just “how huge that steak is,” followed by cheerful laughter. 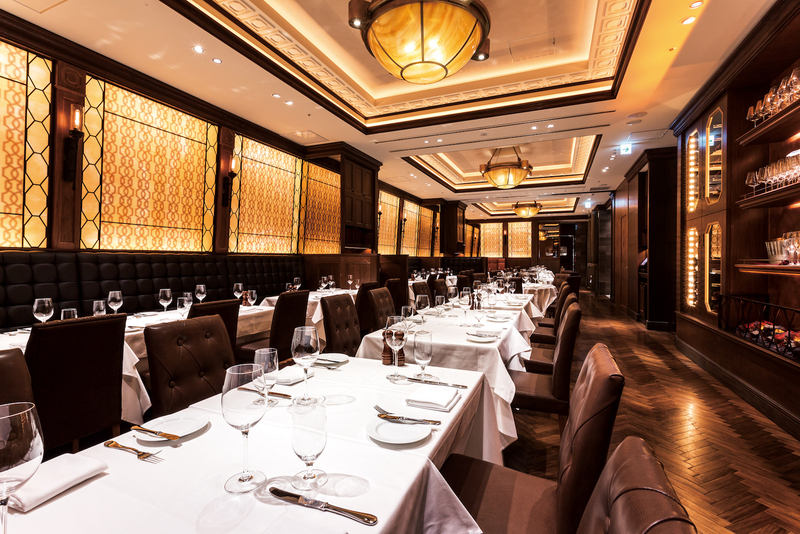 Built entirely after the New York locations' design and ambience, Benjamin Steak House in Roppongi is a world on its own. As soon as you enter the restaurant, you realize that no penny has been spared to build an absolutely flawless decor and furnishing, which is reminiscent of a classic high-end cabaret, yet is as modern as it gets. On your right from the entrance is the bar, a cozy classic space where you can have a happy hour drink between 5 and 7 p.m. on weekdays (and meals of course). Step a bit further and you find yourself in the spacious lounge, beautifully decorated in dark red, brown and white. You walk further and you find yourself in the private party rooms, two smaller ones, that could be combined into one larger, depending on the guests’ needs. And if you happen to be a celebrity who stays away from those writing about how many calories they intake on a late night dinner out, or you’re in search of a place for a secret business rendez-vous, you can also take the fully secluded VIP entrance with a direct access to the dining rooms. That all is done in line with the owners’ vows to treat each guest as a family member, catering to their needs and tastes. Speaking of taste, it’s time we get to the steak — that signature beef chunk that has made this restaurant as popular as it is for a reason. We ordered the Prime Steak for two (¥16,000)— a 900-gram meat indulgence fit for any devoted meat lovers, a medium-rare cooked sizzling dry aged beef. We won’t lie — the steak is enormous by Japanese standards, both in terms of cost and volume. But we won’t lie either when we tell you that none of that matters when you start eating it, and slice after slice you keep exhaling long breaths, reminding yourself how full you are, yet how you crave for more. And you keep eating. And eating. You take it in small pieces savoring the mildly salted taste, you dip it in the garnish (we chose the mouth-watering Creamless Cream Spinach ¥1,400), you take two cuts at a time, you fight with your co-diner for the next piece, and you laugh at just how much of that meat you can keep eating. It’s just that good. Not that everything else isn’t. 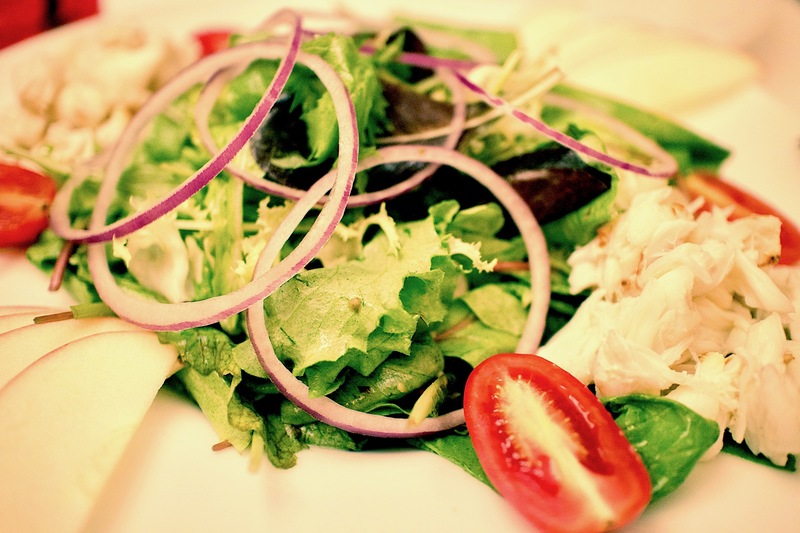 The signature Benjamin’s Salad (¥2,800) as an appetizer gets you perfectly ready for the amount of meat you will eat on that sitting, as it’s full of fresh vegetables of all kinds. The Benjamin Soup (¥2,300) is a rich broth made of long-hours boiled beef with vegetables, that serves as the perfect “taste-adjustment” right before your steak. After all that eating you’d think that we’d just end it there and get back home rolling, but as much as we considered doing this, the inviting atmosphere at Benjamin Steakhouse makes you stay as long as possible and curious to taste at least one of their signature dishes in every menu category. So to end the perfect night, we ordered a Key Lime Pie (¥1,500) and again ate every single bite of it. 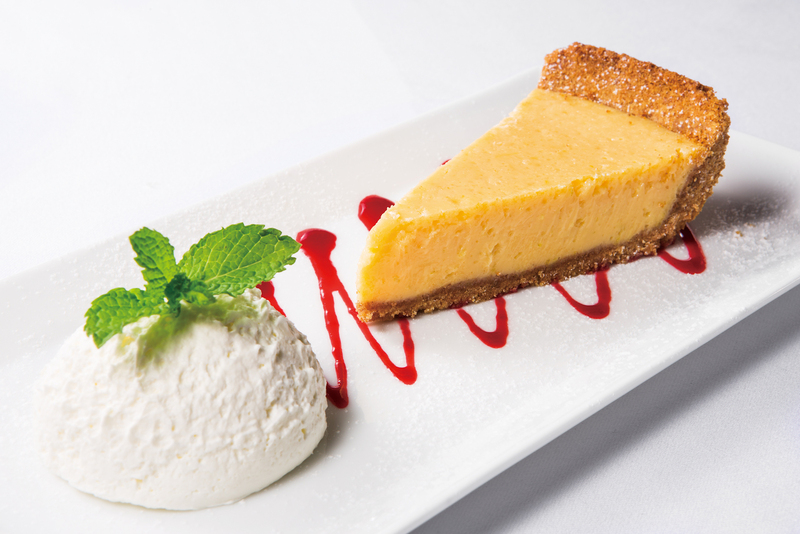 Served with whipped cream, the graham-based pie had the perfect sweet-sour taste that ended up making us feel refreshed and perfectly satisfied. For those who can still fit some more, the rich menu also includes the famous Seafood Platter (¥4,800), the Sizzling Jumbo Bacon (¥1,200), the melt-in-your-mouth Fillet Mignon (¥9,000) and a great variety of exclusive seafood in all imaginable cooking styles. As to wine, it goes without saying that here at Benjamin Steak House, you can get what you want. Choose from 400 different kinds on display at the restaurant, or simply ask the bilingual staff for their recommendation for your dinner or lunch. They know what they’re doing here, and they certainly know how to make your dining experience a memorable one. From the moment you step in, until you're greeted good night on your way out, you can't help but feel special at this restaurant. Open: Daily (Lunch) 11:30 a.m.-3 p.m., (Dinner) Mon-Sat 5 p.m.-11 p.m., Sun & Holidays: 5 p.m.-10 p.m.